Keeping a good set of books is essential to every aspect of your business. Accurate books result in accurate tax returns, and can help avoid costly mistakes. You provide us with copies of your check stubs, bank statements, credit card statements and other documents. 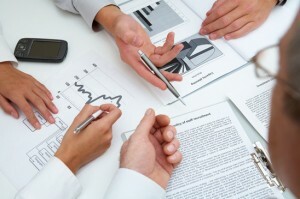 We input these items and provide you with financial reports and analysis. 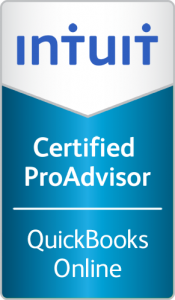 You opt to use a software program, like QuickBooks or our own “Client Bookkeeping Solution” software, and we assist you with the set-up, customization, and maintenance. We use the internet and email extensively, so don’t worry about geographical distance. We can help you keep your books in good order even if you’re in another city or state. Please email us at info@vmde.com or call us at (616) 949-9030, ext. 0, for more information. You have a lot of choices today when it comes to your tax return. You can prepare it online, buy software and do it yourself, or hire a professional. There are many factors to consider when preparing your taxes. You want to make sure the information is accurate and that you’re doing all you can to minimize the taxes. Your professionals at VMDE will strive to do just that, while making the process as simple and stress-free as possible. 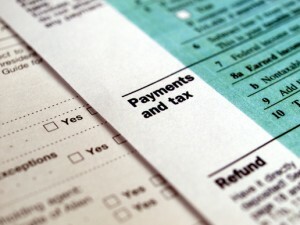 Take the time, guesswork, and frustration out of preparing your taxes by allowing us to guide you through the process. A qualified professional who best matches your individual or business’ needs who will educate you so you have a better understanding of your taxes. 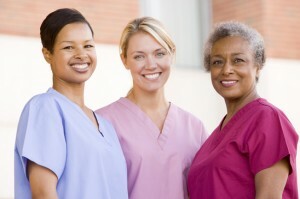 A commitment that we will do everything we can to prepare your return with the objective being to minimize taxes owed. Guidance for the future years in terms of your federal and state taxes. Please email us at info@vmde.com or call us at (616) 949-9030, ext. 0, for more information regarding your individual, business, estate, trust, gift or non-profit tax returns. 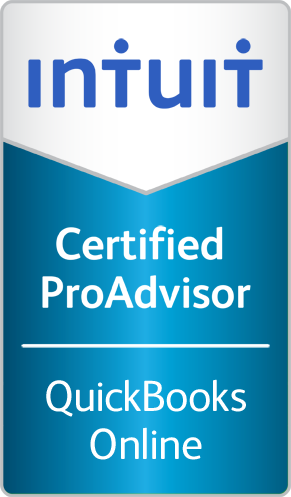 QuickBooks is the most widely used small business accounting software, and many of our clients use it. However, like any software, what you get out of QuickBooks depends on what you put into it. The experienced staff at VMDE will help you learn how to use the software correctly and review what you’ve done so that your statements are accurate. Sometimes our clients use the software to send us their data file and we review their information from our offices; sometimes we go out to the client’s office and review the data there. It all depends on the client’s needs and what works best for them. Whatever your need, we will help you get the most out of your software. Please email us at info@vmde.com or call us at (616) 949-9030, ext. 0, for more information. If you operate your business as a corporation, you need to pay yourself as an employee, even if you’re the only employee. If you operate as sole proprietor, partnership, or LLC and you have people that work for you, you need to pay them through payroll. 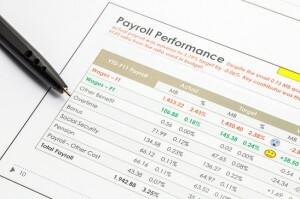 Payroll goes beyond cutting checks to you and your staff. All of these items are part of the payroll process and are aspects that we deal with on a daily basis. If you’re interested in a local accounting firm helping you with your payroll needs, please email us at info@vmde.com or call us at (616) 949-9030, ext. 0, for more information. As a business owner you know there are many questions that come up regarding your business. Is my pricing correct? Are my costs getting out of control? Do I have sufficient controls in my business? How should I compensate employees? Can I do anything to reduce my taxes? All are very important questions that directly impact the future of your business. Do you need a business advisor you can consult with for such issues? At VMDE, we provide our business-owner clients with credible, unbiased advice. We listen to your needs, offer constructive solutions, and even point out unforeseen (and potentially costly) issues. And, if your questions involve an area outside of our expertise, we will direct you to an appropriate professional we know and trust. Please email us at info@vmde.com or call us at (616) 949-9030, ext. 0, for more information. Not only will we help you build a solid and seamless foundation for your basic accounting needs, our specialized services go above and beyond that by helping you navigate through the many other issues you face with your practice. Billing, coding, employee management, and shareholder agreements are all crucial issues that can significantly affect your personal compensation and the overall quality of your practice. We have staff with vast experience in working with healthcare professionals just like you, and look forward to serving you. If you’re in the medical & dental field and you have any questions about your practice, please feel free to contact us; we’d be happy to discuss the questions you might have. Email us at mike@vmde.com or call us at (616) 949-9030, ext. 12, for more information. Quarterly participant statements including all transactions. Please email us at info@vmde.com or call us at (616) 949-9030, ext. 0, to receive additional information on our services.